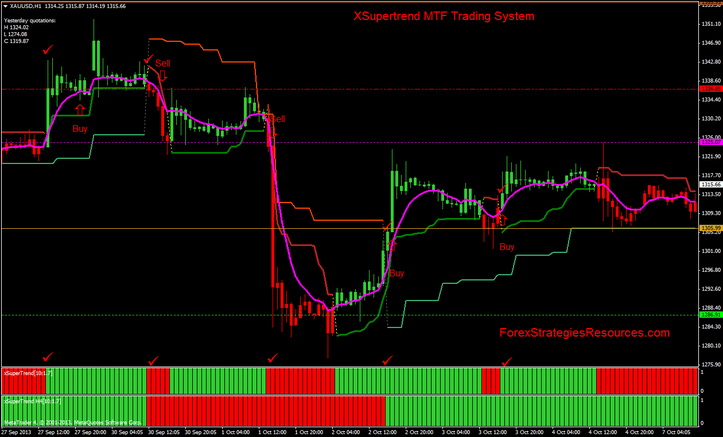 Xsupertrend MTF Trading system is an forex strategy trend following multitimeframe it's based on the Xsupertrend indicators. 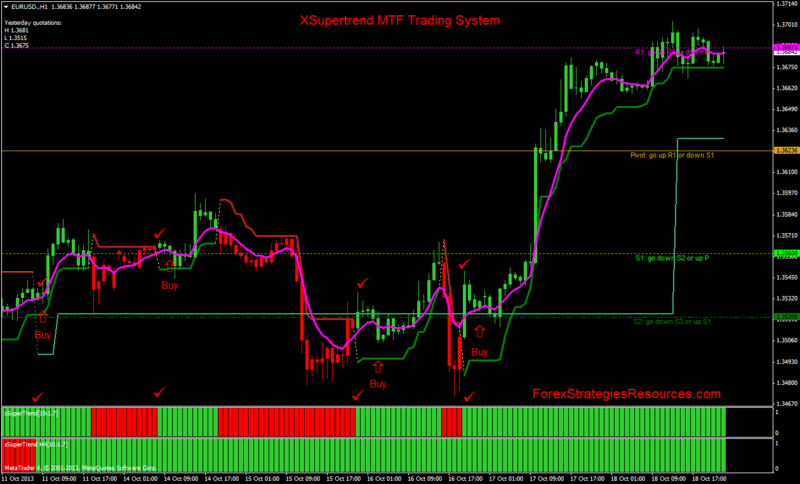 Xsupertrend tape MTF (time Frame 240 min). Moving averge smoothed (4 period). Xsupertrend tape, and Xsupertrend tape MTF: green bars. When these conditions agree: go long when the price, retraces on the moving average smoothed (magenta line). Xsupertrend tape, and Xsupertrend tape MTF: red bars. When these conditions agree: go short when the price, retraces on the moving average smoothed (magenta line). When the signal of the XSupertrend indicator reverses. Thank you very much for this system. i have installed the indicators and i cant find the xsupertrend Alert on the template also i will greatfull if you tell me the broker you use for this system.